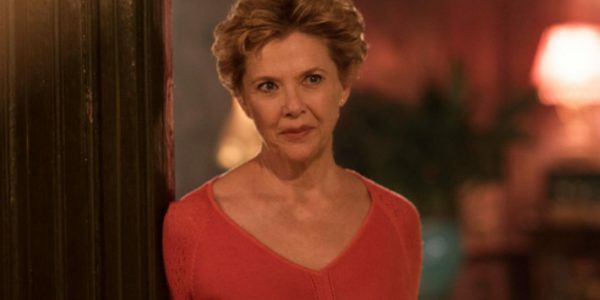 "Lesser-known stars still shine for others to see"
Annette Bening embodies the real Hollywood starlet Gloria Grahame in Film Stars Don't Die in Liverpool. Who was this lesser-known, but influential actress? Grahame may not be as familiar to modern audiences as Marilyn Monroe or Audrey Hepburn, but in her day, she was one of the silver screen’s bombshells. The on-screen siren did win an Academy Award for her role in The Bad and the Beautiful, but most would remember her as the blonde who tried to win George Bailey’s heart in It’s a Wonderful Life. Even though she garnered awards and roles in films like Oklahoma! and In a Lonely Place, it was her personal life that got in the way of a successful career. Besides being difficult to work with on set, her four marriages and absentee parental style led to the studios turning their backs on her. Later in her life, she found her place on stage in America and England. It was while she was doing a stage performance in Liverpool that she met a young aspiring actor named Peter Turner (Jamie Bell). After a love affair that spanned two continents, the former starlet suddenly asked the young Englishman to return to his homeland. As Peter tries to get back to life with his family in Liverpool, one night Gloria comes back to him asking for a place to stay. As he sees her in this vulnerable position, his youthful innocence is shattered, and he realises why she was pushing him away. Reminiscent of My Week with Marilyn, this biographical sketch is based on the true-to-life accounts of a young man’s brief brush with fame. Peter Turner shares the accounts of his love affair with Gloria Grahame and director Paul McGuigan (Victor Frankenstein) strips away the makeup and turns down the lights while exposing the reality of their lives. This raw and genuine love story between the fading movie star and the unknown actor from the neighborhoods of Liverpool shows the melancholy and pain that comes with the loss of fame and notoriety. Even though Turner wrote this book from his perspective, the biography’s focus is primarily on Annette Bening. She manages to embody the beautifully tragic persona that Grahame became in her later life. Their connection goes back to an earlier stage in Bening’s career, which she credits her performance in The Grifters to the inspirational work of Gloria Grahame. Jamie Bell and Julie Walters provide strong performances as the Turner family, but they are merely small planets that orbit the star of Gloria Grahame. Both of these supporting actors show the depth of emotion and support needed for their characters but seem to understand that this is indeed Bening’s opportunity to shine. 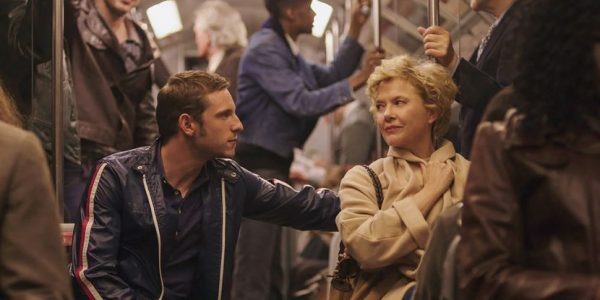 Film Stars Don’t Die in Liverpool shows the impact of life’s choices in all we do and that we cannot run away from our past. The mature and sombre themes of this film will keep this in consideration for awards season but will most likely fail to connect with a broader audience. It is a compelling story and contains strong performances from the central cast, but is far from being a holiday feel-good story.